Product prices and availability are accurate as of 2019-04-20 23:38:17 UTC and are subject to change. Any price and availability information displayed on http://www.amazon.com/ at the time of purchase will apply to the purchase of this product. A self-contained ice maker: compact, easy to use and requires no installation. Makes 3 different ice cube sizes. Ideal for home bars, recreation rooms, boats...almost anywhere. Just a few simple steps and you'll get the first batch of 12 cubes in less than 10 minutes! 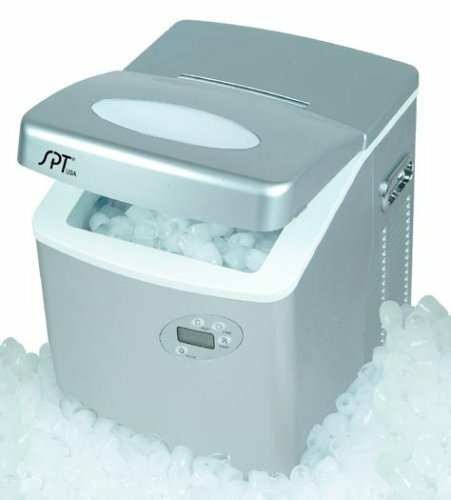 Makes up to 2-Pounds of ice in an hour and up to 35-Pounds of ice in 24 hours. Highly portable, you can enjoy cool, refreshing ice wherever 115V outlet (and water) is available.